Form student, RIC CHAPMAN, takes a looks at day two of The Championships at Randwick, with horse racing tips and analysis for all ten races on the card, including four Group 1s. 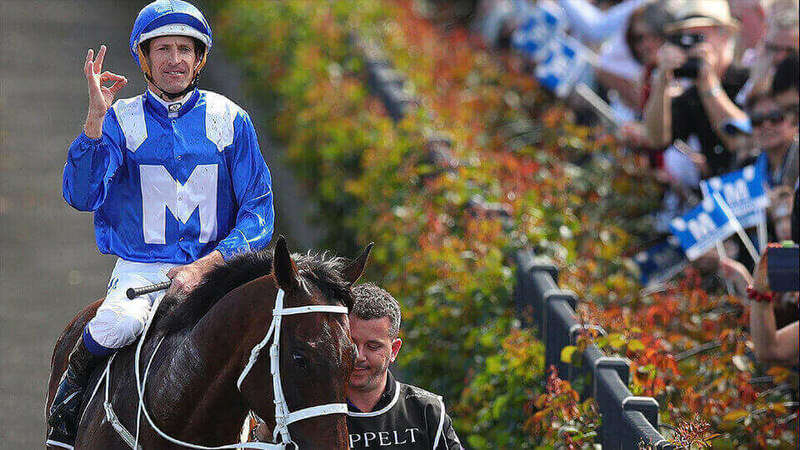 Good luck, and let’s cheer Winx, the best horse we’ve ever seen on in her final race! AMERCEMENT has a strong finishing kick and deserves her shot at this. Her entire 4-race career has been crying out for this journey. Drawn perfectly so gets a run on the fence back in about 5th to the bend. Then unwinds. VINCO has shown real grit, class and determination. Won 2 of past 3 and is right in this. AUTOCRATIC has run 4th at past 2 starts and hit the line strongly both times. Chance. GEM SONG is ready. Third up here after a couple of highly promising runs. Big weight but is the class horse. AYLMERTON is hopelessly out of form. But at his best he wins this and he ran an encouraging 2nd in a recent trial…..maybe a return to form is close. GREEN AEON is unbeaten in 2 restricted grade starts to date. Seems to know how to find the line. What a great contest. ARCHEDEMUS has shown he is a force to be reckoned with by winning his past 5 starts. Knows where the line is and loves this journey. Perfectly drawn too. BOBBING is all class and was an encouraging 2nd in his heat after travelling wide. Form before the spell was excellent for this. MANDYLION is very fast and will lead. And with this weight she may very well lead all the way. Have in your numbers. Strong field. KIAMICHI must be pretty tough. Leads all the way to win the Gr 3 Magic Night by a big space, one week later leads all the way to win the Gr 1 Golden Slipper easily, 2 weeks later leads until final 75m in the Gr 1 Sires’ and here she is with big weight one week later. If she runs to her best, she will spread-eagle this mob. Her stable like FLIT to run her down though. And the stable has won a lot of juvenile races of late so that must be taken into consideration. ATHIRI is all class and is very honest so she must be considered too. Who leads? Terrific field. This statement could work for 3 of these: ‘if he runs to his best he wins this’. They are ZOUSAIN, who is ready to rumble; ENCRYPTION whose form is first rate for this race; and LEAN MEAN MACHINE who is racing poorly but boasts the best overall form. TROPE and CLASSIQUE LEGEND have enormous talent too. Really strong Gr 1 Oaks. VERRY ELLEEGANT is the class and the in-form filly. In the mud she has thrashed most of these at past 2 starts and this trip looks within her keep. Track not as wet this time but still rates highly. ARISTIA and FRANKELY AWESOME have been excellent in the lead-up races to date and will both appreciate this trip a great deal. Aristia is the defending Gr 1 VRC Oaks winner and is ready. SCARLET DREAM has drawn the rails, is as dour as anything and loves to run on. Looks the one most likely to cause the upset. Respect her. This will probably be watched by more people than any Melbourne Cup and will be the most emotive race we’ve ever seen and be so for years to come. Because it’s the last time we see WINX race. She retires to stud after this and the hope is she wins, making it 34 in a row and cement herself as the greatest that ever was. I’m sad just writing this. Some wonder if her lashing out and kicking the fence during the week was a sign she has gone off. I rather think it’s her leaving her mark and I hope the ATC leaves that sign damaged evermore. Should win this and receive the ovation an icon of Australian sport deserves. She’s the best this and at the very least, the previous 2 generations have ever seen. HARTNELL can run 2nd because he always does behind her and HE’S EMINENT is classy and runs on to 3rd. Tough race to predict. SOUND showed a great return to form last start when 4th in the Gr 1 Tancred. YOGI is a 3200m winner and will appreciate the track firming up a bit. Is a big player now 4th up. DUBHE is a Godolphin visitor trained by the great Charlie Appleby and he too is a 3200m winner. Looks well placed. MIDTERM won like a Cups horse last start in a big lead up race. Looks very fit and weighted to win. SHRAAOH is coming good at the right time and stable like him a lot with this lightweight. GLORY DAYS is NZ’s best and has won 6 of past 8 including the 3200m Auckland Cup. Big chance, great contest. Several Gr 1 winners here. ALIZEE wants a firm track and this will be a better surface than last week when she was thrashed in the Gr 1 Star Doncaster. Totally different environment here and she is very well suited to the set weights format. Give another chance. DIXIE BLOSSOMS beat her home last start in the Doncaster. Prior to that had easily won the Gr 1 Coolmore Classic. Is in form, on home track and rates highly. INVINCIBLE GEM looked excellent winning good lead up to this last run. Drawn perfectly here and will be strong late. Youngster NAKEETA JANE has a powerful finishing burst. If she gets cover she will storm home late. I AM EXCITED is ready to rumble. Is 3rd up here and suited to these conditions. Both starts this time up have been very encouraging. SPRIGHT is overdue for a win in a race like this. Will be last for home, but looks the best bet of the day for mine. Wins running away. SIREN’S FURY is in form and won like a Gr 1 horse last week. Big show too. I’ll be having this trio in my trifecta.